French explorer Rene-Robert Cavelier, sieur de La Salle, is perhaps best known for giving the region and ultimately the state its name: Louisiana. 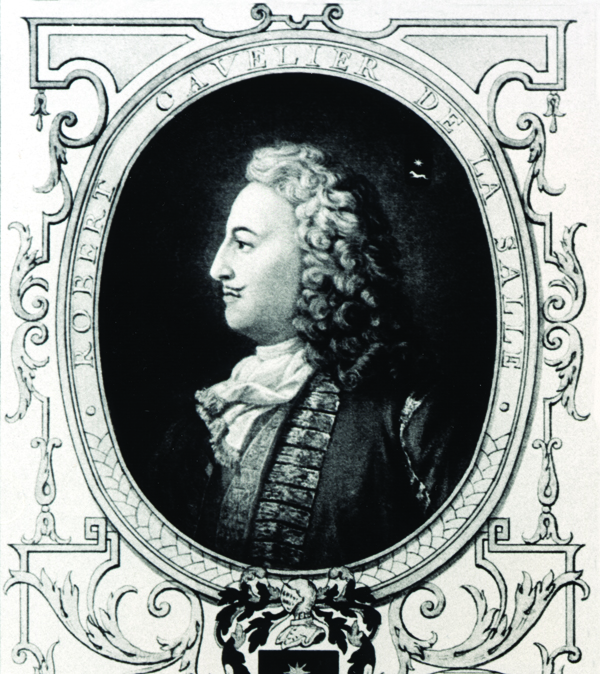 Black-and-white reproduction of a lithograph of a portrait of Rene-Robert Cavelier, Sieur de La Salle. French explorer René-Robert Cavelier, sieur de La Salle, is perhaps best known for giving the region and ultimately the state its name: Louisiana. In 1682, while searching for a water route to the Gulf of Mexico, La Salle—accompanied by a small group of European and Native American explorers—arrived at the point where the Mississippi River empties into the Gulf of Mexico. There, he planted a post and claimed the river and its basin for France, naming the territory La Louisiane in honor of King Louis XIV. In so doing, La Salle helped set the stage for the next eighty years of French rule in the new colony. René-Robert Cavelier was born on November 22, 1643, to Catherine Geeset and Jean Cavelier in Rouen, France. He attended Jesuit schools as a child and adolescent, finally deciding to take the vows of the Jesuit Order in 1660 pursuant to becoming a Roman Catholic priest. La Salle ultimately resigned from the Jesuit Order and set sail for New France in 1667 at the urging of his brother, Abbé Jean Cavelier, who was a Sulpician priest. Via the Saint Lawrence River, La Salle arrived at Quebec later that year and proceeded to Montreal soon thereafter. The Sulpicians granted La Salle a 400-acre concession of land on the outskirts of Montreal, where the recent immigrant started to accustom himself to life in the Canadian wilderness. From 1669 to 1671, and again with the support of the Sulpician Order, La Salle led his first expedition into the interior of North America, hoping to discover a riverine outlet to Asia in the West. He and a party of twenty-two men departed from Montreal and traveled the waters of Lake Ontario and Lake Erie before reaching the Ohio River, a westward-flowing body of water that proved difficult to navigate. Those who remained in La Salle’s entourage finally deserted at the waterfalls near present-day Louisville, Kentucky. La Salle returned to Montreal in financial distress, though he was able to organize another brief expedition in 1671 that included forays through Lake Huron, Lake Michigan, and the Illinois River. Two years later, Louis Joliet and Jacques Marquette succeeded where La Salle had failed when they navigated the upper Mississippi River. 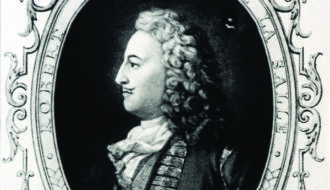 The appointment of Louis de Buade, comte de Frontenac, as governor of New France in 1672 proved beneficial to La Salle’s plans for discovering a southern outlet into the Gulf of Mexico. La Salle helped the new governor found Fort Catarakoui, later renamed Fort Frontenac, on the eastern coast of Lake Ontario. La Salle then sailed for France in 1674 with orders to convince the Crown to support the foundation of the outpost. He returned to Canada in 1675 as the full proprietor of Fort Frontenac and with letters patent of untitled nobility. Louis Hennepin, a Recollect missionary, befriended La Salle during the return voyage and followed him to Fort Frontenac. 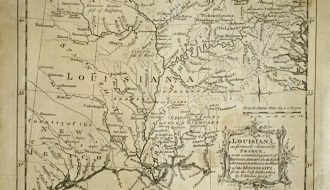 La Salle went to France again in 1677 to request permission from the French finance minister, Jean-Baptiste Colbert, to search for the mouth of the Mississippi River. 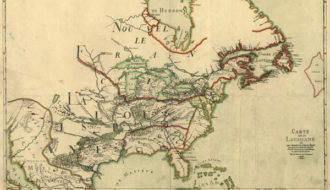 Colbert complied by granting La Salle the right to establish forts and trade buffalo hides throughout the Mississippi River Valley in his effort to discover a route to Mexico. While preparing for his return trip to Canada, La Salle met Henri de Tonti, a French soldier who lost his hand in a grenade explosion; Tonti would a play crucial role in La Salle’s future expeditions. From 1678 to 1681, La Salle prepared for his descent down the Mississippi by exploring the Great Lakes and the Illinois Valley. He constructed a sailing vessel named the Griffon above Niagara Falls. Though he intended to transport furs back to Montreal, the Griffon sank in Lake Michigan before La Salle could make a profit. La Salle also constructed Fort Crèvecoeur on the Illinois River and left Tonti in command, though a group of disgruntled deserters ruined the outpost in 1680. Later that year, La Salle returned to Fort Crèvecoeur with a fresh group of companions and finally reached the Mississippi River for the first time. He chose not to continue to the Gulf of Mexico, however, until he could organize a better-equipped expedition. In February 1682, La Salle entered the icy waters of the Mississippi River with Tonti and more than forty Europeans and Native Americans in canoes. He named the river Colbert after his financial benefactor in France. Five written accounts of the first voyage down the Mississippi remain: narratives by La Salle, Tonti, the Recollect priest Zénobe Membré, Nicolas de La Salle (unrelated to René-Robert), and Jacques de La Métairie. La Salle halted the expedition near present-day Memphis, Tennessee, and constructed Fort Prudhomme before continuing to the confluence of the Mississippi and Arkansas rivers. 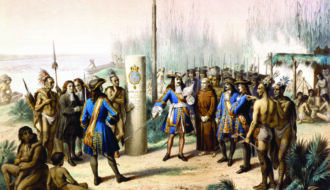 With the assistance of Arkansas guides, La Salle’s entourage reached the point at which the Mississippi River branched into the Gulf of Mexico (near present-day Venice, Louisiana) and planted a post with the inscription “Louis the Great, King of France and of Navarre, Reigns Here, April 9, 1682.” The king would not learn of La Salle’s discovery until a year later. On April 10, without taking the opportunity to explore the Gulf Coast and the Mississippi’s intricate web of tributaries, La Salle began the return voyage up the river to Canada. Lefèvre de La Barre replaced Frontenac as governor of New France in 1682, leaving La Salle without his chief ally in the colony. La Salle sailed to France the following year to speak with Colbert’s son and successor, Jean-Baptiste Colbert, marquis de Seignelay, about a second expedition to the mouth of the Mississippi River by way of the Gulf of Mexico. The king placed La Salle in command of four ships (the Belle, the Joly, the Aimable, and an unnamed ketch that would carry supplies as far as St. Domingue) and more than three hundred crew members, including Tonti, Zénobe, Nika (La Salle’s longtime Indian guide), Henri Joutel (author of one of the expeditionary journals), and Tanguy le Gallois de Beaujeu (sea captain of the expedition). They left France on July 24, 1684, and stopped at St. Domingue before proceeding to their final destination, having lost more than one hundred people to desertion, disease, and death. In December of 1684, La Salle reached what he thought was Apalachee Bay near the northwestern bend of the Florida peninsula. In fact, he had sailed past the Mississippi delta owing to navigational error. The expedition continued to sail west to a point somewhere between Matagorda Bay and Corpus Christi, Texas. Beaujeu returned to France with news of the expedition’s problems in March 1685. In the meantime, La Salle built Fort Saint Louis and planned an overland trek to find the Mississippi River somewhere in the east. The sinking of the Belle off the coast of Texas did not help matters. By 1687, of the original 180 colonists to arrive at Matagorda Bay, fewer than forty colonists survived the ravages of sickness, accident, and desertion. It was during this period of desperation that Pierre Duhaut conspired with a handful of men to kill La Salle while on one of several overland expeditions in search of the Mississippi River. Dehaut shot and killed the explorer on March 19, 1687. Soon thereafter, another member of the expedition killed Dehaut over a dispute about the allocation of supplies. Four men survived the mutiny, reached the Mississippi River, and, under the protection of Tonti, traveled through Canada to France, where they finally reported on the death of La Salle to the French Crown and public. Pasquier, Michael T. "René-Robert Cavelier, sieur de La Salle." In https://64parishes.org Encyclopedia of Louisiana, edited by David Johnson. Louisiana Endowment for the Humanities, 2010–. Article published May 18, 2011. https://64parishes.org/entry/rene-robert-cavelier-sieur-de-la-salle. Delanglez, Jean. “A Calendar of La Salle’s Travels, 1643–1683?” Mid-America 22, no. 4 (October 1940): 278–305. Galloway, Patricia, ed. La Salle and His Legacy: Frenchmen and Indians in the Lower Mississippi Valley. Jackson: University Press of Mississippi, 1982. Garraghan, Gilbert J. “La Salle’s Jesuit Days.” Mid-America 19 (April 1937): 93–103. Johnson, Donald S. La Salle: A Perilous Odyssey from Canada to the Gulf of Mexico. New York, NY: Cooper Square Press, 2002. Muhlstein, Anka. La Salle: Explorer of the North American Frontier. New York, NY: Arcade Publishing, 1994. "Taking possession of Louisiana and the River Mississippi, in the name of Louis XIVth"